Hello again, It is been a long time since I don´t update content but I think this occasion deserves it. I arrived in Europe (after living in Bali) and it is been pretty nice, it is already November and it looks summer, so I miss Bali for sure but the weather here in Spain it is being gentle. I want to share with you my last Interior Style, as you might know, it is one of my passions. I have an eclectic style (I guess traveling to so many countries makes a mix in your brain). I used pink tone combined with grey and a splash of gold to create a delicate, feminine and confident atmosphere. This is all about women power. The girl we have inside in total balance with the woman we are. Strong, positive and a big dreamer. 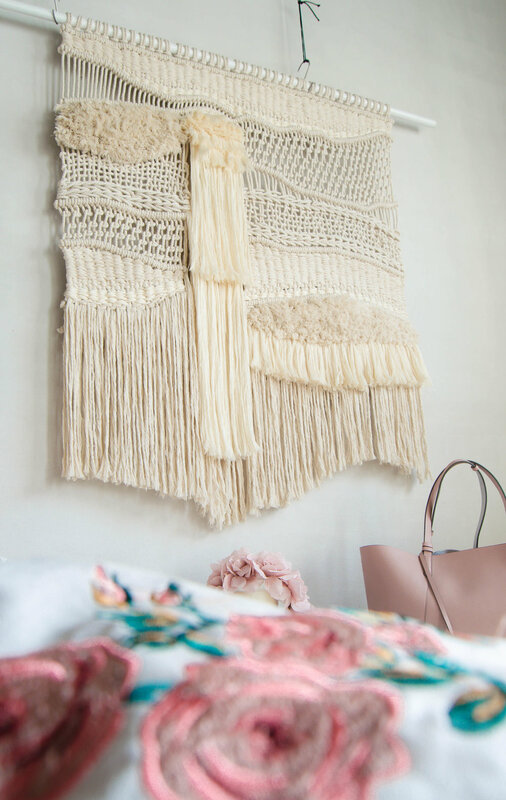 If you check Macrame history you can see the Spanish style in the 70´s and this piece is all about Spain, my country, the country where I spent my childhood and grew up FREE. I hope you like it, as all my work is made for you to enjoy and get inspired to be unique!